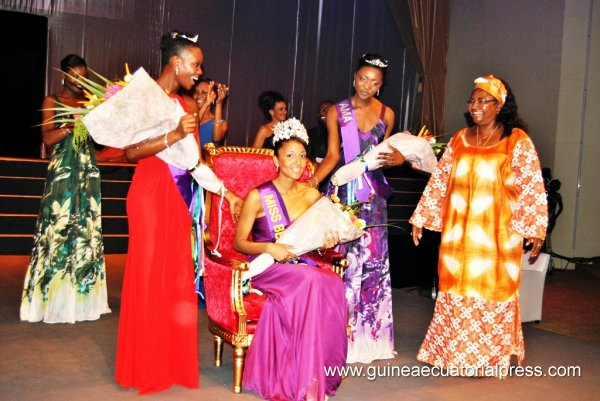 LE GOSIER, Guadeloupe - Brigitte Ramassamy Golabkan (19, 1.70m, Le Moule) was the overall winner of Guadeloupe Queens 2012 and was crowned Miss Monde Guadeloupe 2012 at the Karibea Beach Resort Gosier in Le Gosier. 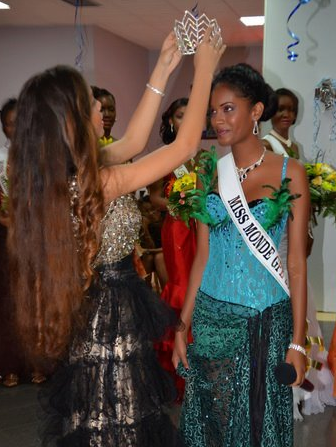 She will represent Guadeloupe in Miss World 2012 in Ordos, Inner Mongolia on August 18. 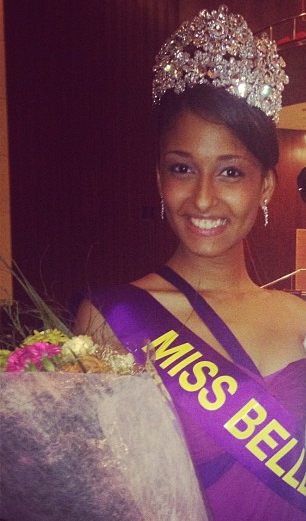 Méloane Lecolas finished as the first runner-up and will compete in Miss International 2012 in Okinawa, Japan. Élodie Pradel was the second runner-up. Special thanks to Maïté Elso for the confirmation! 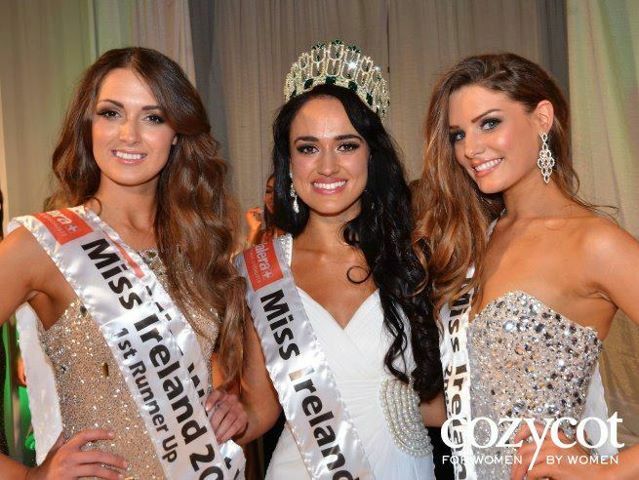 DUBLIN, Ireland - Máire Hughes (21) was crowned Miss Ireland 2012 at the Ballsbridge Hotel in Dublin. She will represent Ireland in Miss World 2012 in Ordos, Inner Mongolia on August 18. Rebecca Maguire finished as the first runner-up. Katie McAuley, finished as second runner-up. 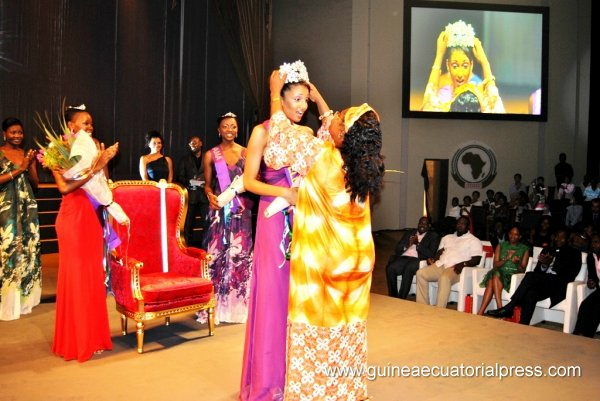 MALABO, Equatorial Guinea - Jennifer Riveiro Ilende (20, 1.80m, Malabo) was crowned Miss Belleza Guinea Ecuatorial 2012 on April 27 at the Sipopo International Conference Centre in Malabo. She will represent Equatorial Guinea in Miss World 2012 in Ordos, Inner Mongolia on August 18 marking the debut of the African nation in the international pageant. 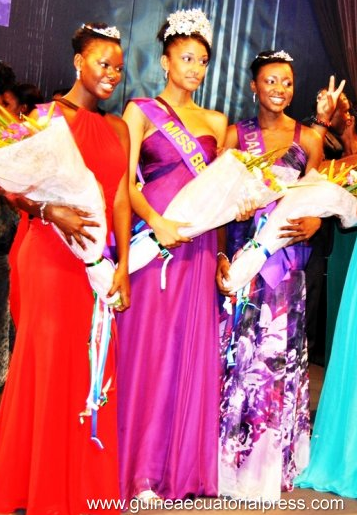 Isabel Biribé was the first runner-up and Sabina Rondo was the second runner-up. Riveiro is a third year law student at the National University of Equatorial Guinea. The pageant was organized as a result of a partnership between Agencia Mogue and Constancia Mangue de Obiang, first lady of the nation. Sixteen contestants competed for the title. Hary Tanoesoedibjo, CEO of MNC Group, and Julia Morley, president and CEO of Miss World Limited, signed an official agreement to make Indonesia the host of Miss World 2013 and Miss World 2015 during a ceremony held in Jakarta. The contestants will be introduced to the culture and products of Indonesia during a one month tour. Both pageants are an initiative from Indonesia's private sector. 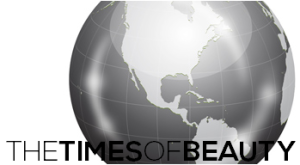 Unofficially, the pageant is expected to return to Ordos in 2014. JAKARTA, Indonesia - Ines Putri Tjiptadi Chandra (22; London, England) was crowned Miss Indonesia 2012 at the Hall D2 JIEXPO Kemayoran in Jakarta. She will represent Indonesia in Miss World 2012 in Ordos, Inner Mongolia on August 18. Jennifer Sumia and Ovi Dian Aryani Putri completed the Top Three. 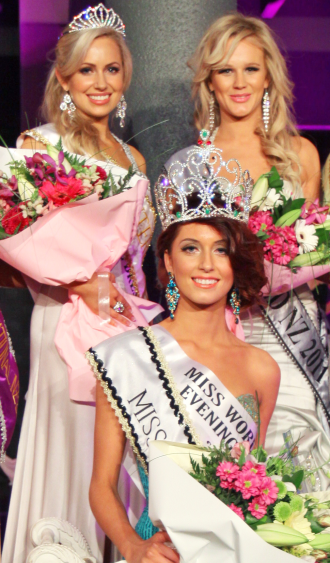 AUCKLAND, New Zealand - Collette Lochore (18, 1.81m, Auckland) was crowned Miss World New Zealand 2012 at the Tasman Room of the Alexandra Park Function Centre in Auckland. She will represent New Zealand in Miss World 2012 in Ordos, Inner Mongolia on August 18. 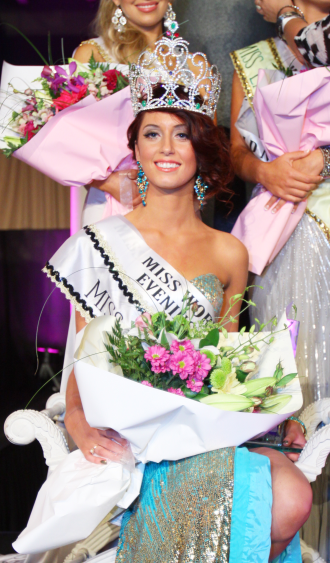 Hannah Carson will represent New Zealand in Miss International 2012 in Okinawa, Japan next October. SAN PEDRO SULA, Honduras - Jennifer Giselle Valle Morel (17, 1.74m, Tegucigalpa) was crowned Señorita Honduras 2012 (Miss Honduras 2012) at the Colegio de Ingenieros Civiles Auditorium in San Pedro Sula. She will represent Honduras in Miss World 2012 in Ordos, Inner Mongolia on August 18. Natalia Coto was the first runner-up and Karina Padilla was the second runner-up. Ginnette Espinoza and Adriana Redondo completed the Top Five. LOS COBANOS, El Salvador - Ana Yancy Clavel (19, 1.73m) was crowned Nuestra Belleza El Salvador Universo 2012 at the conclusion of the Nuestra Belleza El Salvador 2012 pageant. She will represent El Salvador in Miss Universe 2012 next December. Maria Luisa Vicuña (18, 1.75m) was crowned Nuestra Belleza El Salvador Mundo 2012 at the same event held at the Royal Decameron Salinitas Resort in Los Cobanos. She will represent El Salvador in Miss World 2012 in Ordos, Inner Mongolia on August 18. Irene Gumero was the first runner-up. Tania Arteaga and Michelle Carazo finished third and fourth, respectively. BRATISLAVA, Slovakia - Kristína Krajčírová (20, 1.78m, Bratislava) was crowned Miss Slovensko 2012 (Miss Slovakia 2012) at the Incheba Expo in Bratislava. She will represent Slovakia in Miss World 2012 in Ordos, Inner Mongolia on August 18. Denisa Krajčovičová finished as the first runner-up and will go to Miss International 2012 in Okinawa, Japan next October. Silvia Kimličková was the second runner-up. Meet the 20 finalists competing for Denmark's most prestigious beauty title: Miss World Denmark 2012. 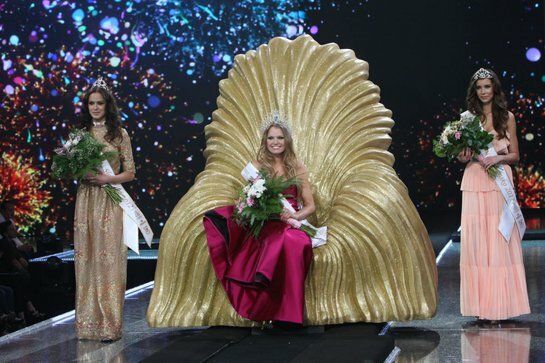 The finals will be held at the Kokkedal Castle in Hørsholm on May 18 and the winner will represent Denmark in Miss World 2012 in Ordos, Inner Mongolia on August 18. SAN JUAN, Puerto Rico - Janelee Marcus Chaparro Colón (20, 1.73m, Barceloneta), a criminal justice student, was crowned as the new Miss Mundo de Puerto Rico 2012 at the Eternal Lounge of the Conrad San Juan Condado Plaza Hotel in San Juan. 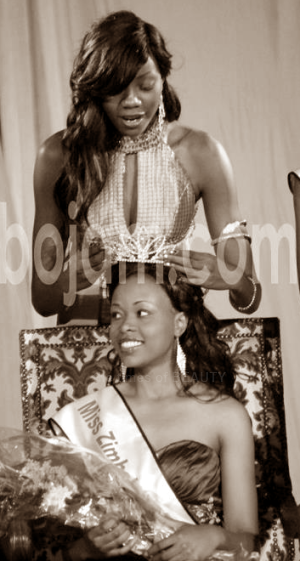 She was appointed to represent the island after the date shift of the international pageant. Chaparro, who finished as first runner-up in Miss Mundo de Puerto Rico 2011, will represent Puerto Rico at the 62nd Miss World pageant in Ordos, Inner Mongolia on August 18.